The former Chelsea midfielder takes over from Laurent Blanc. DIDIER DESCHAMPS IS the new head coach of France. The French Football Federation (FFF) confirmed the news in a statement on Sunday. 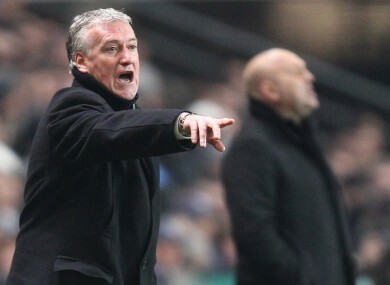 Having recently vacated his role as Olympique de Marseille boss, Deschamps was immediately installed as the frontrunner to replace former international team-mate Laurent Blanc. But while initially dismissing such suggestions earlier in the week, the 43-year-old has now opted to accept the French governing body’s offer after much consideration. No details about the length of his contract have been disclosed, but his deal is expected to run until the 2014 World Cup, with the option of a further two years, taking him through to Euro 2016, which will be played in France. Deschamps started his coaching career at Monaco in 2001, and also worked at Juventus before taking charge of Marseille in 2009. He played for clubs such as Nantes, Marseille, Juve, Chelsea and Valencia during his active career, and made 103 international appearances for France, winning the 1998 World Cup and Euro 2000. The FFF has scheduled a press conference on Monday evening (Paris time) to officially unveil Deschamps. Email “Deschamps confirmed as Les Bleus manager ”. Feedback on “Deschamps confirmed as Les Bleus manager ”.